Let me start by thanking Zen Tea for sending me 8 samples all the way from Canada. There was a nice variety of flavours and types sent and from all 8 I chose three to feature in this review. For the others I will post reviews onto Steepster (so keep your eyes open this week for those). Today I will be reviewing Korean Green Tea – JoongJak, Sencha Superior Uji and Strawberry Cream. Korean Green Tea – JoongJak. Jungjak (중작) is usually picked after May 5th, and the leaves are slightly larger than Sejak. Our Jungjak is picked by hand and processed with great care. Jungjak’s flavor is complicated. It has Longjing(or Genmaicha)’s nutty corn sweetness and Japanese Sencha’s fresh grassy flavor. You can enjoy multiple tasty infusions. We strongly recommend you to infuse 2-3 times for different nuances of flavor. Preparation: 1.5 teaspoon (2g), 65-75°C (149-167°F), 2-3 minutes. – Taken from Zen Tea Official Website. The leaves are dark green with the occasional pale yellow/silver spot. They are thin and curly with a light but sweet honeysuckle scent. Very light yellow liquid with a sweet floral scent, similar to honeysuckle and sweet pea. Flavour is very light but has a sweet after taste. Crystal clear and very smooth and buttery with a slight crispness. A little grassy after a few sips. Still very light and more so than the previous steep. Tastes like sweet grass and butter with a slight mineral after taste. Extremely light but floral and it’s sweetness toned down somewhat. Less honey more sugar cane though again I stress very mildly. A slight dryness in the after taste this time. A light green tea that offers high sweet and floral notes with a buttery finish. Was very refreshing and clear. Sencha is the most commonly enjoyed variety of Japanese green tea. 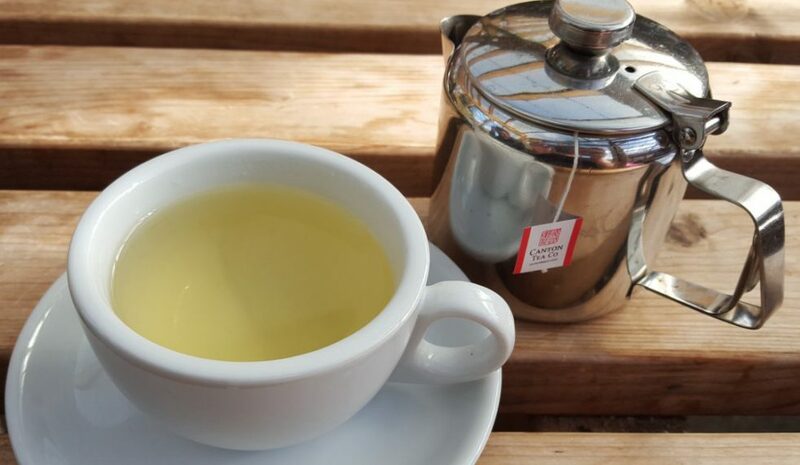 Sencha contains more of the beneficial nutrient Catechin than other green teas, because it is grown in full sunlight, thus it becomes yellow-green in color. Sencha tastes gently astringent and smells wonderfully fresh. Sencha is harvested three or four times a year. But with each harvest, the tea becomes slightly lower in quality. This is why the first flush, or Ichiban Cha, is the best. Our Sencha is made exclusively from Ichiban Cha.You will certainly be delighted with the fine and generously harmonized flavor of our Sencha. ** To ensure freshness of tea, Sencha Superior was packaged with aluminum pouch individually at Uji teafarm. Individual 100g bag. The leaves are dark green for the most part with a few light green pieces present and as a whole they are very shiny. They are dry and crisp leaves which are mostly short/broken and has a sweet, mineral scent. I liken it to sweet grass, orchid and fresh kale. The tea is yellow and a little cloudy with a sweet floral scent. Flavour is sweet and mineral with a grassy after taste that is a little dry. It does lighten after a few seconds to leave a raw pea flavour. Thicker in strength with a touch of astringency. Sweet tones but still more mineral wise than floral, strong raw pea flavour now. Also high grass notes but no increase in dryness. It’s thick enough to resemble kale or cabbage at this point. Heavy mineral flavour with more astringency than before and a touch of umami. Tastes similar to an instant Sencha powder I’ve had before. More savoury than sweet now but there is some still present. A nice Sencha that increases in strength and umami the more you steep it. Offers sweet, grass and floral notes as well as vegetal/mineral richness. Sweet strawberries underscore the subtle symphony of berry creaminess. Quality black tea base blends well with creamy strawberry flavour. A delicious dessert tea with a definite sweet strawberry flavour. The blend looks pleasant enough, with small strawberry pieces and chopped up leaves amongst it’s dark brown Ceylon (which has some sticks/twigs present). It has a dry strawberry scent, rather mild but also sweet and natural. Also getting wooden tones from the Ceylon. Without milk the tea is mahogany in colour with a sweet but soft strawberry scent, more the fruit than the herb ie leaf. The picture shows one cup with milk and the other without. The black tea base tastes thick with wood and malt notes and a hint of smoke. Behind that is a light sweetness from the strawberry which comes through in the after taste. The strawberry smelled natural but the flavour is mostly artificial, it’s a touch too sweet and is candy like. Similar to a strawberry gummy sweet. I can’t taste any cream or anything similar, the milk would have lightened some of the wood and malt tones from the Ceylon but even that hasn’t brought out the cream taste. My personal tip to add cream to this tea would be to use a little vanilla, if you have any vanilla sugar at home this tea would taste magical. Alas I have none so I will have to settle for plain strawberry. Honestly it’s an average strawberry blend but it can be improved with the likes of sugar/sweetener, particularly vanilla sugar. The Ceylon base is too strong for the strawberry and it’s cream flavour was missing but despite all of that it still made a nice cup of tea. If I had more I would try adding sweetener and maybe a drop of vanilla extract. Please note that they only ship tea to Canada and USA. (Hoping this changes in the future for us Europeans). Previous Post What’s so great about Green Tea?